RT:The US military has, in one way or another, been involved in the Middle East region for over a decade. Why has the violence lasted so long? 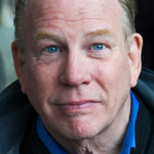 William Engdahl: The violence has lasted for over a decade, since the invasion of Iraq in 2003, because the US has been involved militarily in the Middle East – it’s quite as simple as that. They toppled Saddam Hussein, Hosni Mubarak in Egypt, they set off the wave of Arab Spring color revolutions throughout the Arab world to reorganize the entire structure of the region to the advantage of the US military position vis-à-vis China and Russia, fundamentally. RT:Has this military involvement achieved any positives? WE: I see only human tragedy. It’s just a policy that has no positive humanitarian or human purpose other than creating chaos and disorder so that the US or the government in Washington can leverage and blackmail its allies in Europe as well as China and Russia. RT:How's this non-stop war been influencing the attitude of Muslims towards the Western world? WE: I don’t think it has created any great love or warmth for the Western world. Certainly not between the Muslim world and the US. The Obama administration has a project – it’s called the Muslim Brotherhood. There are at least five Muslim Brotherhood members or close supporters in and around the Obama White House. And their strategy is to take this death cult that came out of Egypt in the 1920s (Hassan al-Banna’s organization originally) and use that as a lever to re-organize into a fundamentalist, not just jihad, a Sharia state along the lines of the Islamic caliphate – IS. RT:The ongoing conflict in the Middle East has also been regarded as a Shia-Sunni conflict. How has the foreign involvement impacted on the religious relations between Muslims? WE: It’s brought them to the point of war between Shia and Sunni. That certainly was not the case before 2003. There was an uneasy truce – but it was a truce. In Syria, you had Shia and Sunni living side by side, Alawites and so forth. Same in Turkey and in Iraq. And now? 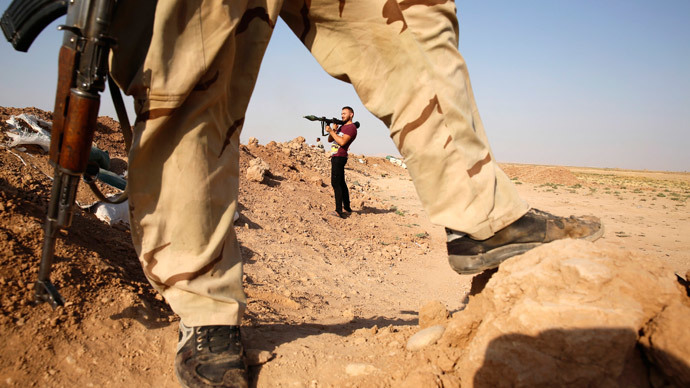 Look at what General Petraeus did in Iraq to create this holy war between Shia and Sunni there – with his strategic Hamlet-kind of insurgency, trainings, secret police, and what not. And now we are reaping the result. ISIS has been trained by US Special Forces in Georgia. They’ve recruited Chechens as soldiers, they trained them in secret NATO bases inside Turkey and Jordan. For the last year and a half, they have been developing what we now call ISIS (IS, ISIL or DASH) or whatever moniker you want to give it. It’s all made in Langley, Virginia (the CIA’s seat) and [by] the affiliates of Langley inside the Pentagon.